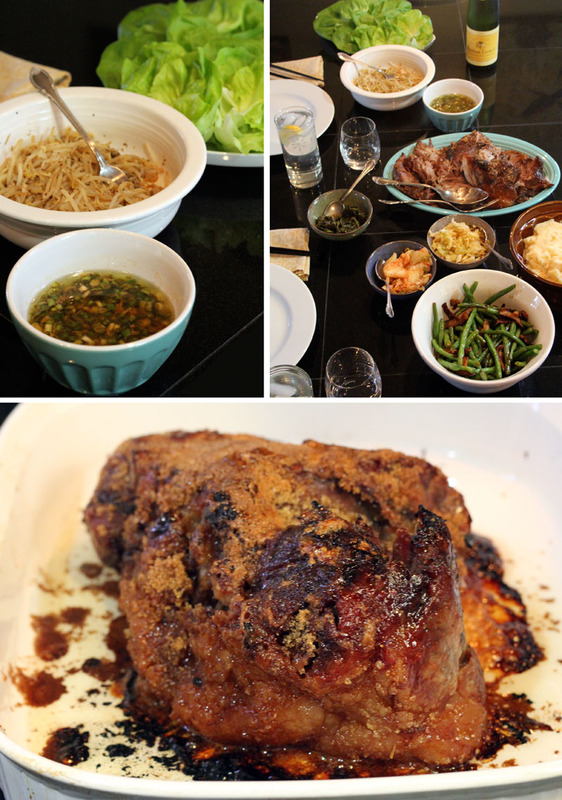 We decided to try the Bo Ssam Pork which was a good choice for Thanksgiving given that it is way easier and cheaper to buy a local pork shoulder from our neighborhood butcher than a turkey. Grant got up super early to start cooking the meat. And then, we relaxed and went for a great walk at the park with Lucille, our hound dog. 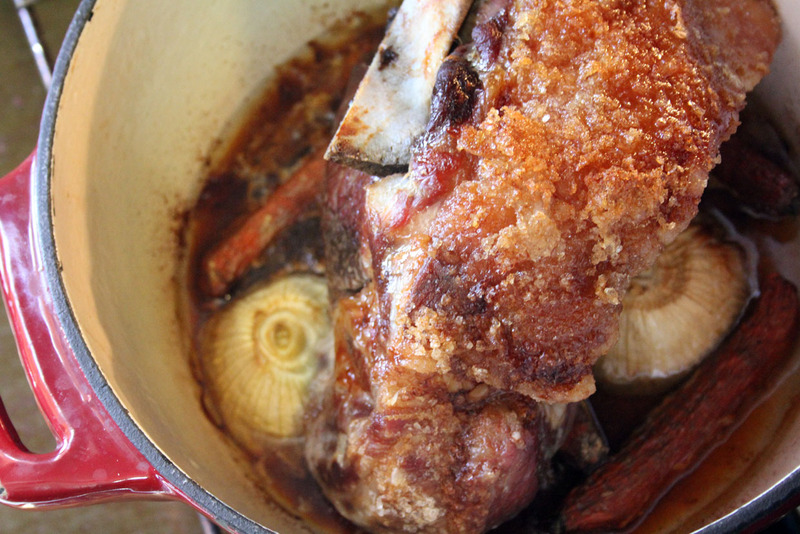 The day before cooking, place the pork in a large, shallow bowl. Mix the cane sugar and 1 cup of the salt together in another bowl, then rub the mixture all over the meat. Cover it with plastic wrap and place in the refrigerator overnight. When you’re ready to cook, heat oven to 300. Remove pork from refrigerator and discard any juices. Place the pork in a roasting pan and set in the oven and cook for approximately 6 hours. After the first hour, baste hourly with pan juices. Cook until the pork collapses, and easily falls apart when forked. At this point, you may remove the meat from the oven and allow it to rest for up to an hour. When you are ready to serve, turn oven to 500. In a small bowl, stir together the remaining tablespoon of salt with the brown sugar. Rub this mixture all over the cooked pork. Place in oven for approximately 10 to 15 minutes, or until a dark caramel crust has developed on the meat. 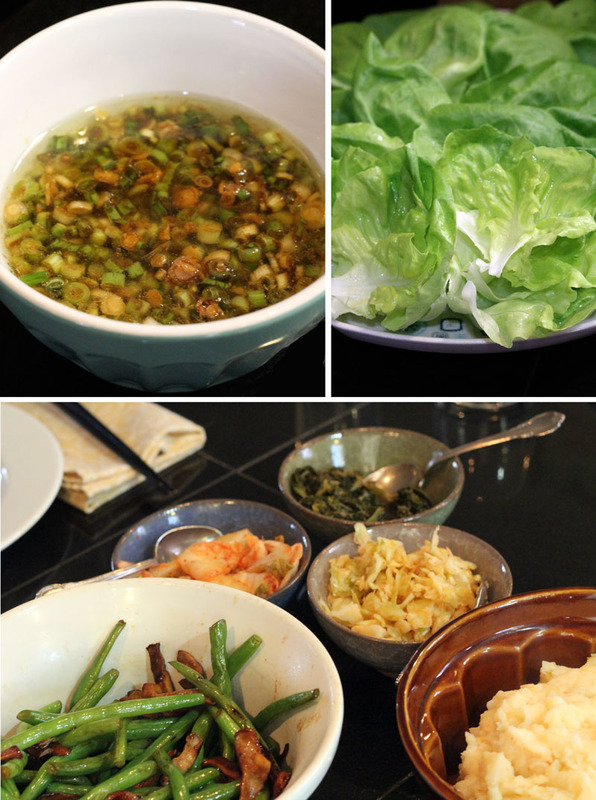 Serve hot, place pieces of the pork in a lettuce leaf and then top with side dishes, hot sauce, and the scallion sauce. Each little lettuce bundle can be made differently. Variety is part of the fun with this dish. And this next sauce, we did not make, but plan to next time. Instead, we just used Sriracha as our hot sauce. About a week and a half earlier, Grant made his first batch of Kimchi. He started making homemade sauerkraut about a year ago but he had never attempted Kimchi. We also bought a pretty straightforward version (as a backup) at the grocery store. It is made in San Francisco. I also picked up a locally made Kimchi at Mitchell Deli that was made from spinach rather than cabbage, just for variety. Here’s Grant’s recipe for his Kimchi. And we still made sides, only they were more Korean themed such as Kimchi Mashed Potatoes, Green Beans and Shiitakes sauteed with Tamari and Sherry Vinegar, and Korean-style Bean Sprouts. 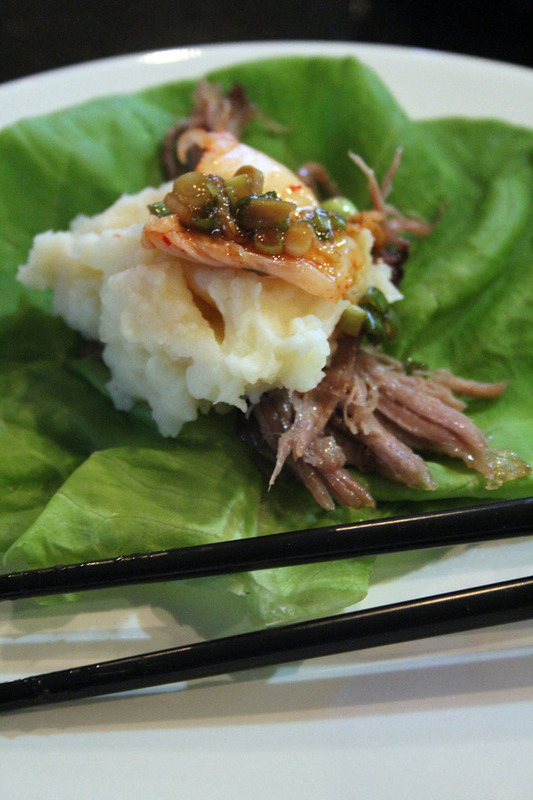 Traditionally, the pork is to be served in (butter) lettuce wraps with a Scallion Sauce. We made different combinations, incorporating our sides with every wrap. It was Thanksgiving after all. Each one was so delicious and really fun to eat. Then falling back into tradition- but only briefly- we watched The Last Waltz before heading out to a Nashville Predators’ hockey game! Haha. 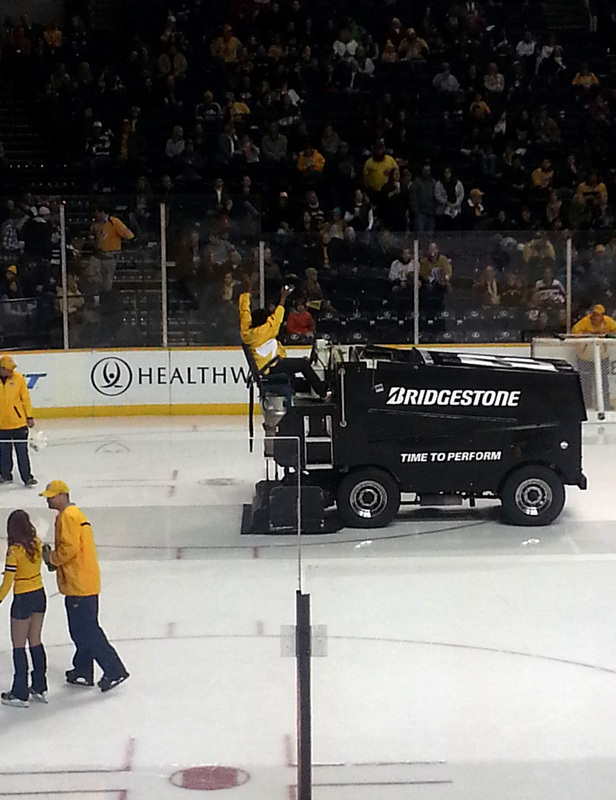 We got free tickets and had a ball. We are so thankful for all we have and all the many friends and family that are dear to us. This sounds amazing. My mouth is really watering heavily right now. Seriously!!!!!! We really want to. Hopefully sometime in the new year!